Announcement 2019 Show Schedule - Click Read More to see schedule. Stop back to see new show added. 2019 Show Schedule - Click Read More to see schedule. Stop back to see new show added. Item arrived on time. Great seller to work with. I could not be more pleased with the necklace. This is a very clean, geometric, pleasing design. I like the black cord and the way it stays round even with the weight of the pendant is really nice. 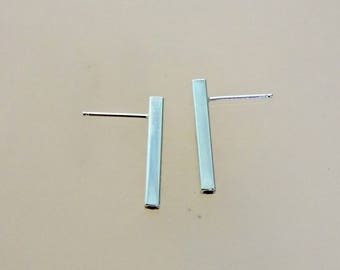 Nice clean looking silver bar earrings very delicate. 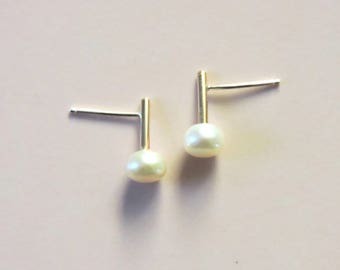 Nice clean looking earrings. I didn’t realize the pearl was on the side so I took them had it placed on the front, you might like them on the side but they are perfect now one of my favorite. Messy, but hey, I'm a creative. I never expected to be a jewelry artist. As a kid growing up in Pittsburgh PA, I loved to act and dance. After college, I worked for years in administrative jobs and marketing in Washington DC. 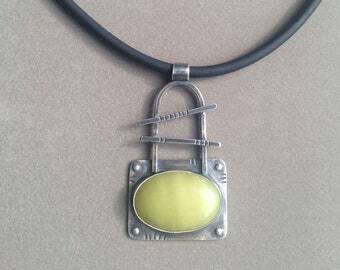 Then one day I saw art jewelry in a gallery and I was fascinated. I try to buy what I could afford, but the creative part of me wanted to know more. I studied beading and metal arts and decided this was I wanted to do full time. Welcome to Divergence Design! 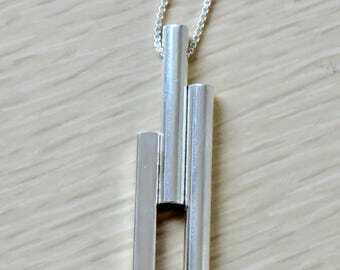 I hope you enjoy browsing and even more, I hope you enjoy purchasing one of my divergent designs. Divergence Design guarantees our products from manufacturing defects. If your jewelry requires repair, simply return it to us. We will repair or replace the item at our discretion at no charge. Please package the item for secure shipping; insure items with a value over $100. Items over $100 cannot be returned after 2 weeks of sale. They maybe be exchanged for another items(s) of the same value. American Express, Visa, Discover, MasterCard are accepted. Special Orders require a 50% down payment after the customer approves a photo of the proposed design. All orders will be shipped USPS unless otherwise requested. If you require a special shipping date, please note this in the comment section of the shopping basket.